That’s what Mr. Regular suggests. 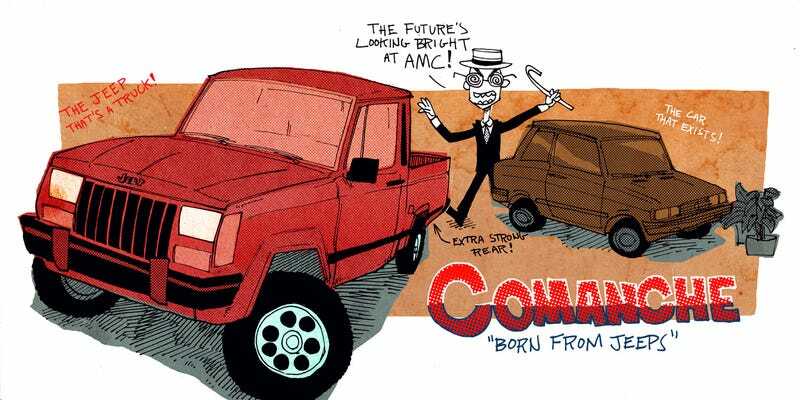 Because when AMC endeavored to turn the XJ Cherokee’s boxy-wagon body into a short-cab pickup truck, the beleaguered automaker inadvertently made perhaps the most cargo-capable autocrosser ever built. A 4.0-liter Jeep that can handle? You bet your unibody. Here’s the recipe to make your own. Bob Sorokanich is the Online News Editor for Road & Track. Follow him on Twitter and Instagram.